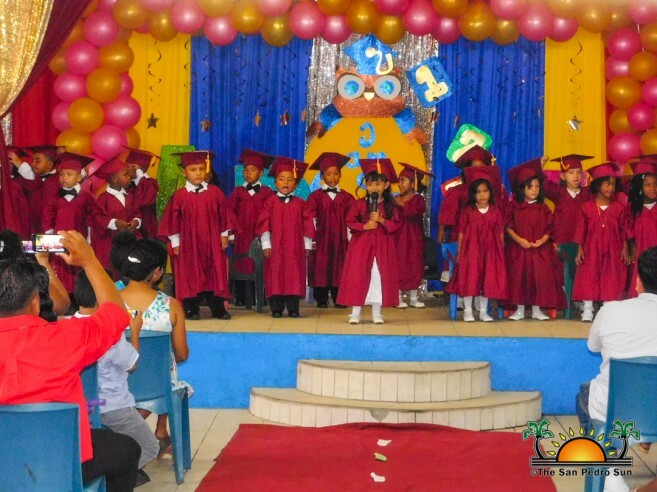 Several schools have been celebrating their graduation ceremonies in the primary and pre-school levels. 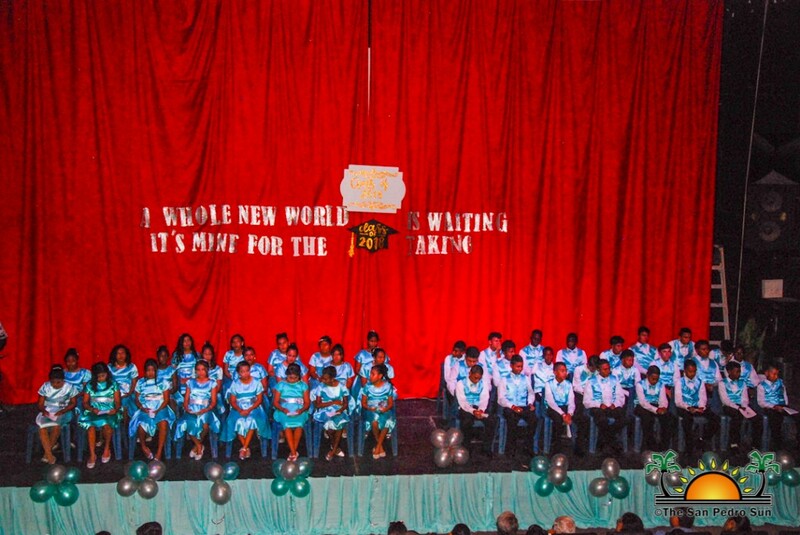 Standard Six students bade goodbye to their elementary studies gearing up for high school, while pre-schoolers joined the celebration as they prepare to enter primary school. 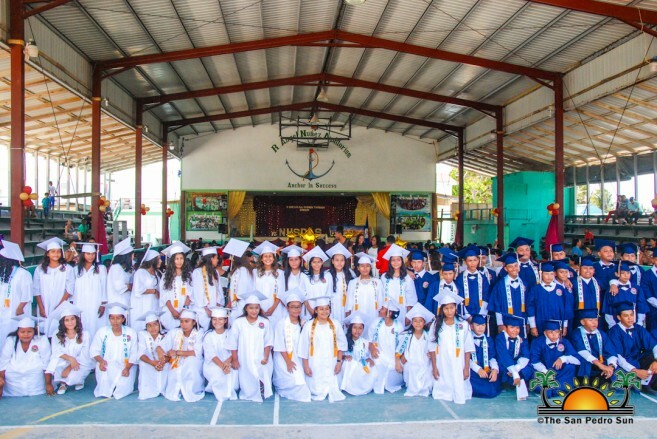 The San Pedro Roman Catholic School (SPRCS) graduated 78 students at the Angel Nuñez Auditorium on Friday, June 22nd. 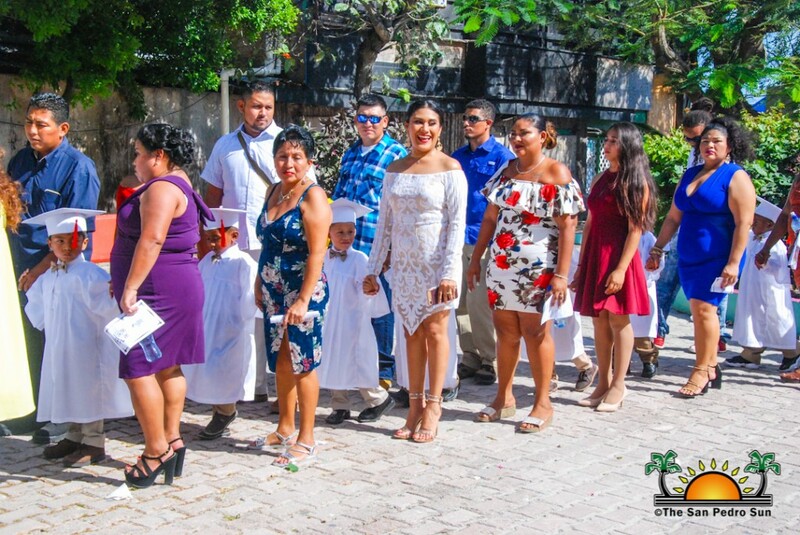 After a short welcome speech by Diana Uh, and remarks by guest speaker Chairwoman of Caye Caulker’s Village Council, Enelda Rosado the students were presented with their diplomas by SPRCS teachers Ross Novelo, and Sylvia Flores. The valedictorian of the Class of 2018 was Shaneen Palma, the salutatorian address was delivered by Brianna Guerrero, while the vote of thanks was delivered by Matthew Bradley and Orlinton Galicia. On the afternoon of Saturday, June 23rd, ABC Pre-school held their graduation ceremonies at the San Pedro Roman Catholic Church. The ceremony included a Catholic Celebration mass, immediately after which Education Officer for San Pedro and Caye Caulker, Odilia Caliz distributed diplomas to a total of 51 pre-schoolers. Following the graduation celebration, graduates and family members headed to the Lions Den for a joyful parent’s night. 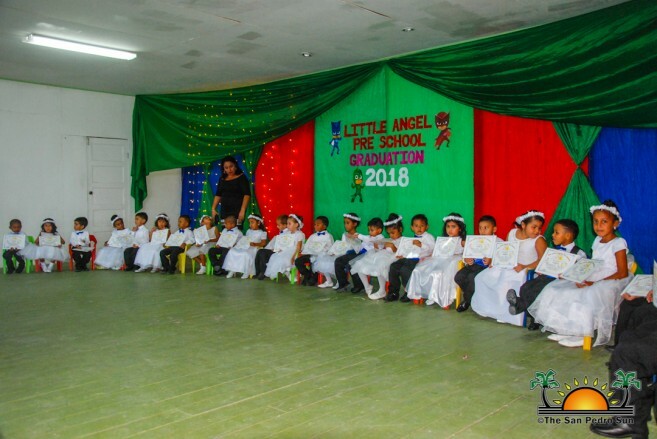 While ABC was holding their graduation, that same Saturday, Little Angels Pre-school was hosting theirs at the Angel Nuñez Auditorium. Master of Ceremonies Angel Nuñez congratulated the little ones for their achievement. Zailor Nuñez and Amerie Eiley delivered the welcome remarks, while Kristina Romero was the guest speaker. The event included a rose ceremony, and thereafter Principal Marina Kay awarded the diplomas. The graduation closed with the vote of thanks delivered by Howard West and Merliah Flores. On Sunday, June 24th, the New Horizon Seventh Day Adventist School held their graduation ceremony at the Angel Nuñez Auditorium. A total of 55 students marched to the tune of Pomp and Circumstance shortly after 10AM. Teacher Vania Flores served as the Mistress of Ceremonies, while student Deborah Silva gave the welcome address. Following remarks of guest speaker and past principal at the school, Miguel Hernandez, and the Principal report by current Principal Samuel Chi, each of the students was awarded their hard-earned diploma. The valedictorian address was given by Jamileth Beltrani, and Nicole Lopez delivered the vote of thanks. At 2PM on that same Sunday, the Holy Cross Anglican School held their graduation commencement inside the Paradise Theatre. There was a total of 45 students graduating this time and Suseli Lopez had the privilege of delivering the valedictorian remarks. Guest speaker was Education Officer for San Pedro and Caye Caulker, Odilia Caliz, and certificates and awards were given out by Olivia Tasher and Mariceli Humes. Principal Rodney Griffith also received a special token after he announced that he is retiring. Holy Cross Anglican Preschool held their Commencement Exercises on Wednesday, June 27th. 31 toddlers marched to the tunes of pomp and circumstance at 6PM at the Lions Den. The master of ceremonies was Delvi Flores, while Mia Cortez gave the welcome address. 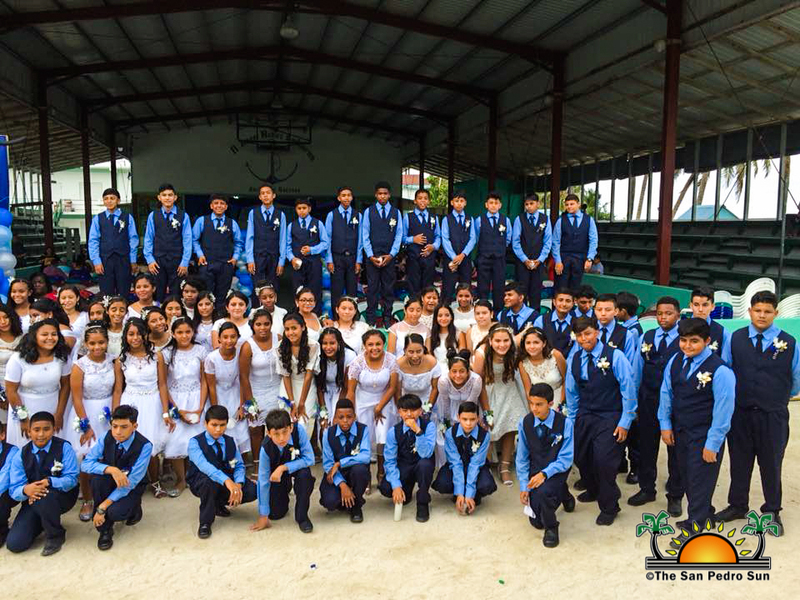 Guest speaker for the event was Belize Rural South Education Officer Odilia Caliz, who also awarded the diplomas. The vote of thanks was given by Javier Canelo. The San Pedro Sun wishes all the 2018 graduates the best in their future endeavors.